Why are faith groups so concerned about civil legislation? A similar intervention has come with “A Cross-Denominational Response”. 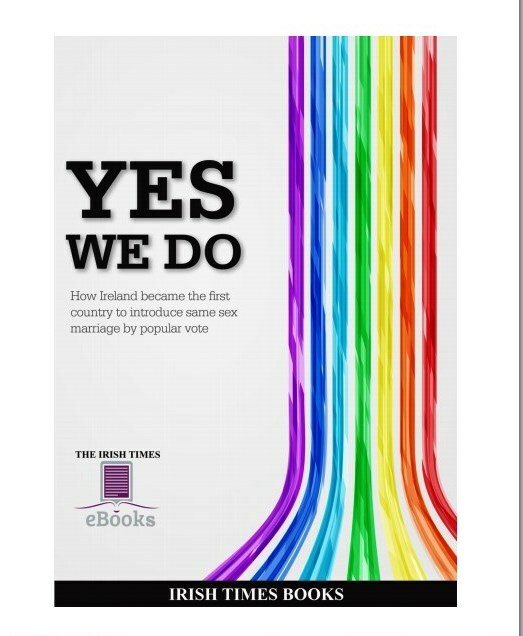 The 50 signatories calling for a “No” vote include the Roman Catholic Bishop of Elphin, the Most Rev Kevin Doran, the Church of Ireland Bishop of Kilmore, the Right Rev Ferran Glenfield, and others who claim that “freedom of conscience will be challenged by a ‘Yes’ vote”. There is no one common, unchanging theological understanding of marriage shared by all faith traditions. Jewish teaching traditionally accepts a liberal approach to divorce, yet often applies severe sanctions to those who marry outside Judaism. The Muslim understanding of marriage, at least in the past, has tolerated polygamy. Adam and Eve are often treated as providing the biblical standard of marriage. But the Bible offers many different models of marriage, including marriages with and without children. Abraham had a wife and a consort; his grandson Jacob had two wives and two consorts; David had many wives, although their number is unknown; King Solomon had 700 wives and 300 concubines; and, of course, St Joseph and the Virgin Mary had a marriage that does not conform to today’s expectations of parenting and having children. In the Gospels, the only ground for a divorce is porneia or sexual immorality (Matthew 5: 32). Christ’s teaching challenged the easy-going divorce customs of his day. Later, St Paul added one other legitimate reason for divorce – the wilful desertion of a Christian by a non-Christian spouse (see I Corinthians 7: 15). The Roman Catholic and Orthodox traditions, and many Anglicans too, hold that marriage is a sacrament. Christ regularly speaks about marriage and the wedding banquet as an image of the Kingdom of God, and many see sacramental marriage as a covenantal relationship that reflects Christ’s relationship with the Church. The Second Vatican Council shifted thinking about marriage from a juridical view to a more “personalist” approach, shifting the focus on the objective duties, rights and ends of marriage to an emphasis on the intimate, interpersonal love of the spouses. A similar development came about in the Anglican tradition, and new marriage services shift from the emphasis on having children, ordering society and preventing sin to the priorities of comfort, help, delight, tenderness and joy, with children as a blessing rather than a purpose. Una Mullally, Ursula Halligan, Archbishop Diarmuid Martin, Benedict O Floinn, Stephen McIntyre, Patricia McKenna, Maire Geoghegan Quinn, Heather Barwick, Finn Murray, Noel Whelan, Colm Toibin, Vincent Twomey, Rosaleen, McDonagh, Kathy Sheridan, William Binchy, Diarmaid Ferriter, Breda O’Brien, Fintan O’Toole, Patrick Comerford, Colm O’Gorman, Paddy Monaghan, Derek J. Byrne, Jane Suiter, James Kelly, Juan Carlos Cordovez-Mantilla, David Hoctor, John Holden, Quentin Fottrell, Jensen Byrne, Aoife Byrne, Ronan Mullen, Ivana Bacik, Prof Ray Kinsella, Denis Staunton, Fiach Kelly, Kathy Sheridan, Stephen Collins, Marie O’Halloran, Ruadhan Mac Cormaic, Miriam Lord, Patsy McGarry and David Norris. Readings: Joshua 3: 7-11, 13-17; Psalm 114; Matthew 18: 21 – 19: 1. Today, in the calendar of the Church, we remember the saintly Jeremy Taylor (1613-1667), one of the key bishops in the restoration of the Church of Ireland after the ravages and spoliations of the mid-17th century. Jeremy Taylor was born in 1613 in Cambridge, where he was educated at Gonville and Caius College. He was ordained in 1633 and, as the Civil War got under way, he became a chaplain with the Royalist forces. He was captured and imprisoned briefly, but after his release went to Wales, where the Earl of Carbery gave him refuge. 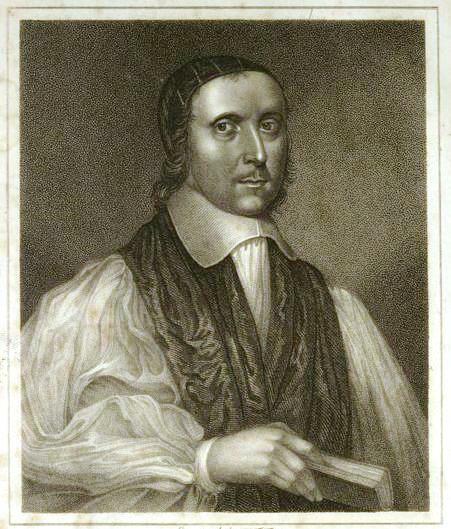 During the Civil War, Jeremy Taylor suffered internal exile and persecution, but remained true to the essentials of his Anglicanism, worshipping daily according to the tradition of the Book of Common Prayer. In this exile, he wrote The Rule and Exercise of Holy Living (1650) and The Rule and Exercise of Holy Dying the following year (1651). In 1658, Jeremy Taylor moved to Ireland, and with the end of the Cromwellian era, he and Archbishop John Bramhall of Armagh moved immediately to restore the Anglican tradition within the Church of Ireland. They revised and updated the Book of Common Prayer, they restored catholic order to the worship, liturgy and the organisation of the Church of Ireland, they provided priests for parishes that had long been vacant, and they ensured the consecration of bishops for vacant dioceses. He became the bishop for three of those dioceses – Down, Conor and Dromore – he restored and rebuilt cathedrals, visited his parishes, and provided sacramental and pastoral care for the people. Yet he never neglected the deeper spiritual truths. His two best known works, Holy Living (1650) and Holy Dying (1651), are precisely that – models for how to live and how to die in faith in Christ. Learning to live with our lives as they are, and learning to die when death comes are important themes throughout his writings. Thinking on today’s Gospel reading (Matthew 18: 21 – 19: 1), and its emphases on forgiveness, I am reminded that Jeremy Taylor also writes, throughout his works, about the constant need for forgiveness – giving and receiving forgiveness – as essential parts of the health of a Christian, spiritual health and physical health. He reminds us in Holy Dying that we receive absolution of our sins in proportion to our forgiving of one another. He reminds us that when we are distressed, in sickness, find ourselves without hoped-for and prayed-for healing, sorrowful and feeling the weight of sickness, as he describes it, we should call to mind what injuries we have been forgiven. Jeremy Taylor’s health was worn down by the protracted conflicts of his day, and he died on this day, 13 August 1667.